Keeping buildings under your charge well-maintained is key for any facilities manager. This often means working regularly with an outsourced professional for painting and maintenance work. 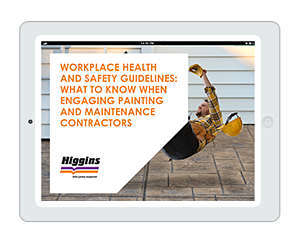 But when working with others on your site, you need to consider Australia’s strict Workplace Health and Safety (WHS) regulations.